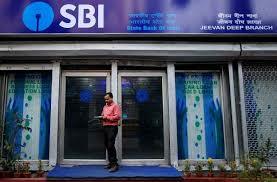 SBI (State Bank of India) has taken it upon itself to warn their customers about the whole affair. The officials of SBI have issued some guidelines for customers to follow and avoid falling prey to such scamsters. card skimming, which is the act of copying data of a credit card, debit card or ATM card illegally. And even if the magstripe cards have been replaced with cards with EMV chip, card skimming frauds have not been ruled out. SBI has already taken some precautions from its end to ensure the safety of its customers and is quite alert and active in taking care that frauds don’t happen. From October 31, 2018, SBI reduced the ATM cash withdrawal limit to Rs. 20,000 per day which was previously Rs. 40,000. ATM frauds are especially the reason behind this step by SBI. Avoid sharing your SBI card to anyone, no matter how close they are to you. This includes company representatives and friends as well. Wherever you are required to put in your ATM PIN code, be it a public place, like shopping malls and movie theatres or private places, like an ATM, make sure you cover the keypad with your hand. Keep a close eye on when your card is being used. Make sure you are present at the machine where it is being swiped. Sometimes, it is possible to forget your card at the place of transaction. Be alert to collect your ATM card after the transaction is finished. Fraudsters often appear at your doorstep under the guise of being an SBI representative. They also resort to calling you up posing as an SBI representative. Do not, under any circumstances, reveal your secret ATM pin to any stranger. .PIN, OTP, CVV, and Net Banking user ID and password are your private and confidential information. Do not share these details and credentials with anyone, however, close they might be to you. Call the SBI’s customer care call centre, which is open 24×7, and inform the bank at once. Send an email at customercare@sbicard.com. Send an SMS “Problem” to 9212500888. Contact the SBI at its Twitter handle @SBICard_Connect. Visit any SBI branch nearest to you, or your home branch and report the transaction. This is very unique steps by the authority which can protect the customers Account in all respect. Thanx. These guidelines are very useful to us. Thank you very much. Thanks for sharing the guideline which will be very useful not only for the SBI customers but also the public.